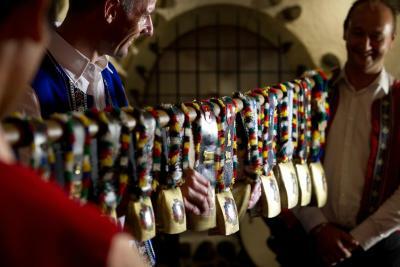 Lock in a great price for Edelweiss Manotel – rated 8.4 by recent guests! Just a wonderful place. The rooms are spacious and really cute. The bed was very firm but I still slept well. Be sure to try the restaurant. 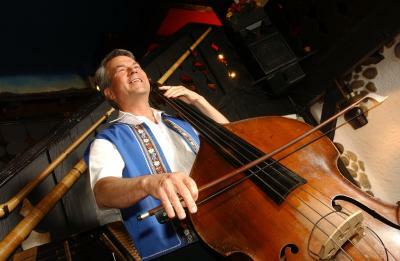 Swiss food and music. I will be back. Comfortable and reasonable size room. Bathroom small but well appointed and excellent shower with good pressure on 7th floor. elevator small but running well with no hitches. Everything was excellent, particularly location and availability of transportation across the street and a supermarket. Everything was organized, clean and welcoming! WiFi was excellent! The hotel is beautiful, close to several restaurants and a grocery store. The staff was wonderful, the room clean. Overall, my stay was excellent. The hotel is a block from the lake and bus 25 stop across the square. Ideal for getting around. Staff very kindly brought breakfast to the room for us, are super friendly and it is a lovely hotel! 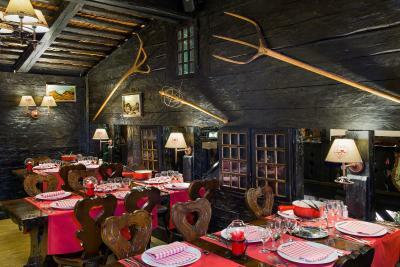 Traditional, clean with a charming chalet feel restaurant. Nice location and friendly staff. Very good value for Geneva. Perfect for 1 night or 2 to visit the city ! The staff and Manger was very friendly and helpful. The hotel, restaurant and room image (theme) was exactly what was looking for. The location was only 10 minute walk to the train station or down town and to the lake. I would stay there again. Edelweiss Manotel This rating is a reflection of how the property compares to the industry standard when it comes to price, facilities and services available. It's based on a self-evaluation by the property. Use this rating to help choose your stay! 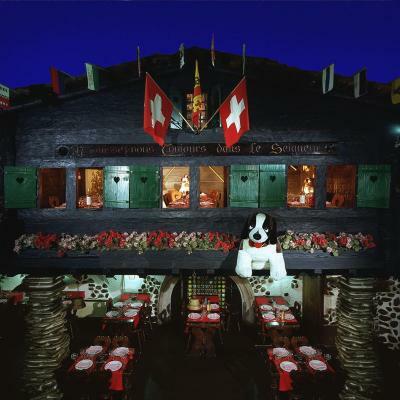 Situated between Lake Geneva (650 feet) and the UN (about half a mile), a few steps from downtown Geneva, the Edelweiss Manotel radiates the charm of a genuine Swiss chalet. 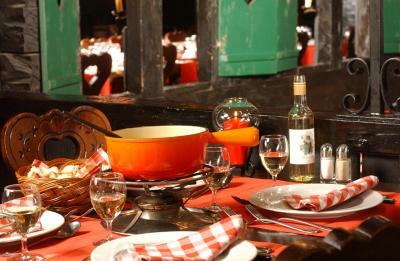 Relax in cozy armchairs around the fireplace and enjoy typical Swiss food like Fondue and Raclette in the restaurant. 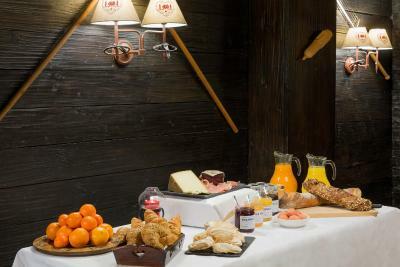 Children under 12 years have free breakfast, if parents book breakfast at the hotel. The shopping area is only half a mile away, a playground can be found within 150 feet and a bus stop is right in front of the Edelweiss Manotel. 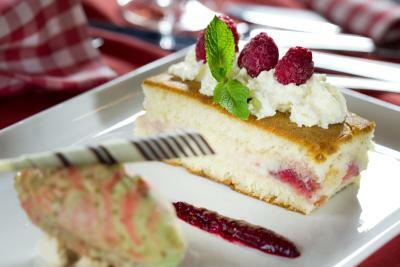 When would you like to stay at Edelweiss Manotel? Air-conditioned rooms with a living area, satellite TV, a minibar, and a tea/coffee maker. Air-conditioned rooms with satellite TV, a minibar, and a tea/coffee maker. This family room features a mini-bar and air conditioning. It is fitted with double glazing windows, a safety deposit box, a tea and coffee maker and a work desk. It also offers a direct dial phone and an alarm clock. 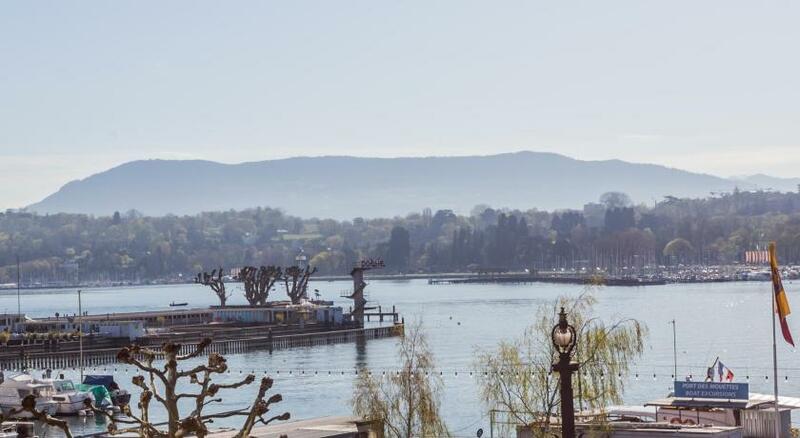 Discover the Alps in the heart of Geneva. 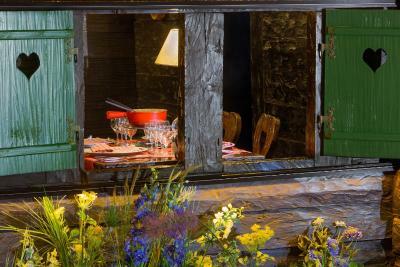 Come to the Hotel Edelweiss and delight in the warmth of an authentic Swiss chalet. House Rules Edelweiss Manotel takes special requests – add in the next step! Edelweiss Manotel accepts these cards and reserves the right to temporarily hold an amount prior to arrival. Room smelled strongly of cleaning supplies. Furnishings and bed were a bit shabby. The room was too hot and the AC didn't work and we couldn't prop the window open! Given the price - we expected a lot more. At the restaurant each person had to buy an entree or else pay 15 francs extra. So, you can't get a light meal or just dessert. Location is very good - by the train station. Very good location, friendly staff, if you have no desire to be in snobbish upscale hotels this place is for you and countryfolk people like us. Location is great. It's only couple of minutes walking from the lake. The smell of molten cheese everywhere. In the restaurant is ok, in the hallway of the rooms? terrible! The front office staff and, especially, Caroline, the Director, were superb. The bed could have been softer and the towels were thin and stiff also but not enough to really complain about. 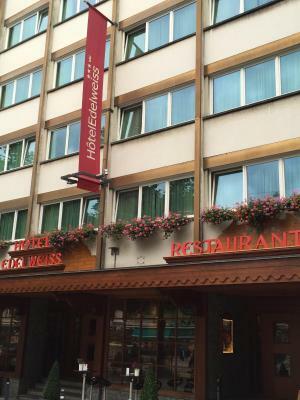 Perfect location, nice hotel and rooms, friendly and helpful staff - especially Pierre! The Fondue Dinner is always a treat and the musical performers is outstanding! 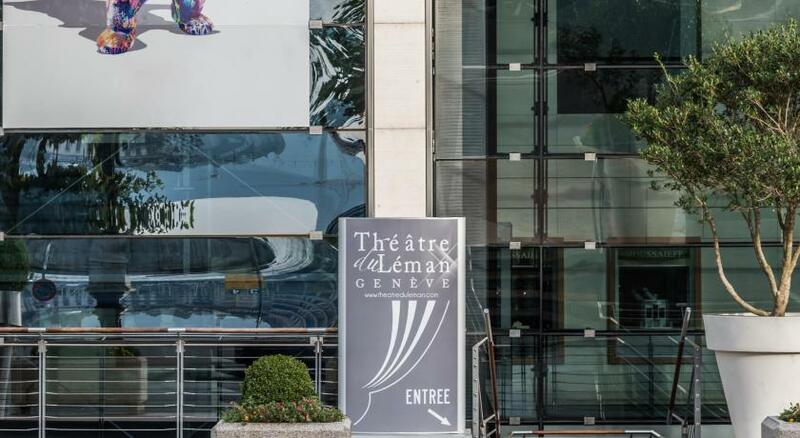 Included in your stay is a free public transport pass for Geneva! Nothing except for lowering the prices in the bar in the room. There’s a restaurant on the ground floor (did not try it!) but the smell of food/cheese impregnates the entrance and halls! Luckily not the rooms! 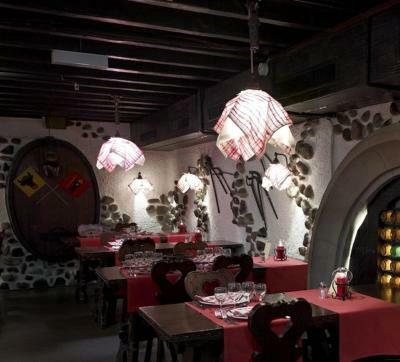 It is very well located, comfortable and clean, and I enjoyed the local alpine style decoration. Money well spent compared to average Geneva hotel in the same price range! Particularly liked the traditional decor of the entire hotel and particularly the restaurant. 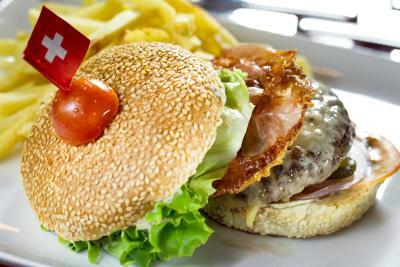 Our meal was exceptionally good and our children thoroughly enjoyed the experience. The staff was ALL consistently warm and welcoming, going out of their way to assist me in several ways. 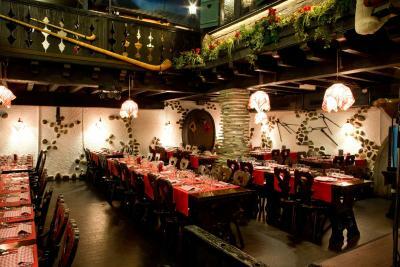 The environment is authentic and memorable as was the food. I'll be back for sure as I travel to Geneva for work.